The development of products and services in the area of digital media aims to meet current and future user needs and requirements. Such products and services are often dependent on the results of new research and development within the academy and other research and development organizations. Partnership arrangements between these organizations, industry, and appropriate Small and Medium Enterprises (SMEs) can assist in the development of such products and services, and the migration of such developments into wider society. An additional factor in the area of digital media is that there may often be interdisciplinary components to the research and development, and also the product or service that is developed. 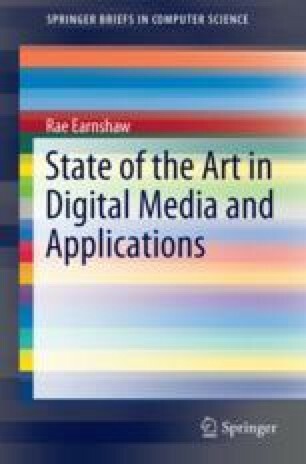 This is because of the nature of digital media, and the diversity of its constituent parts, and potential uses, such as electronic devices, sensors, software, firmware, digital images, digital audio, digital video, computer games, web pages, data, databases, social media, e-books, and Internet of Things. Digital media has a wide range of application areas and potential uses. Such users can come from a variety of backgrounds and cultures and therefore the products and services need to meet this diversity of requirements and ways of working. This in turn requires effective collaboration across traditional boundaries between disciplines.